The U.S. Supreme Court has agreed to consider the constitutionality of a Wisconsin law that authorizes warrantless blood draws from unconscious drivers. The court agreed Jan. 11 to consider the case of Gerald Mitchell, who was found to have a blood alcohol level of 0.22 when his blood was drawn at the direction of a Sheboygan police officer. Mitchell was unresponsive in May 2013 when the blood was taken after his arrest for allegedly driving while intoxicated. He was convicted based on the result. The Wisconsin Supreme Court affirmed the conviction. Courthouse News Service, the New York Times and SCOTUSblog have stories. The cert petition is here, and the state response is here. 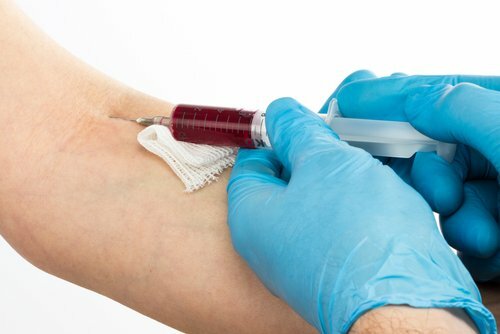 The Wisconsin law, a civil implied-consent statute, provides that an unconscious person is presumed not to have withdrawn consent to a blood test. Drivers who refuse consent face possible loss of their driver’s license. Mitchell’s lawyers claim the blood draw violated the Fourth Amendment. Wisconsin is among 29 states with laws allowing warrantless blood draws from drunken driving suspects who are unconscious, according to the cert petition. Appellate-level state courts are divided in legal challenges to the provisions because of Supreme Court rulings on warrantless blood draws. In the latest case, Birchfield v. North Dakota, the U.S. Supreme Court ruled in June 2016 that states can’t criminally prosecute suspected drunken drivers for refusing warrantless blood draws when they are arrested. The law in Mitchell’s case carries only a civil penalty, the New York Times points out. A 2013 Supreme Court decision, Missouri v. McNeely, held there is no automatic Fourth Amendment exception to the warrant requirement in drunken driving cases. Rather, the need for a warrant must be based on the totality of circumstances, the opinion said.